At fortyish I must say I have gone through quiet a list of beauty products already. Some local, not all the time imported; some expensive but most of the time reasonably-priced. Some didn’t live up to their promise and only repurchase when needed those that did. I’m also one of those who would shamelessly take a stool availing free product demos at the beauty section of department stores, (hehehe) but I’m selective of brands. I’m also religious when it comes to testing novelty beauty products, especially when endorsed by celebrities, make judgments and move on simply when they’re ineffective. So looking at the bigger picture, I’m a practical beauty product user. When I got invited by Ms. Jojie Alcantara to a beauty pot session, who am I to say no? It turned out it was Aromacology’s product demo and business opportunity briefing. Aromacology is a proudly Davao Brand. I was really amazed and inspired by their story. A classic example of turning your passion into business. Aromacology was created out of a woman's passion in search for awesome body care products. Ms. Vanessa Mondragon, the CEO shared that when she was still a Hotelier, she used to hang out in beauty product shops. Feeling that she can do better on what’s on their shelf, she decided to leave the corporate world and formulate products of her own. 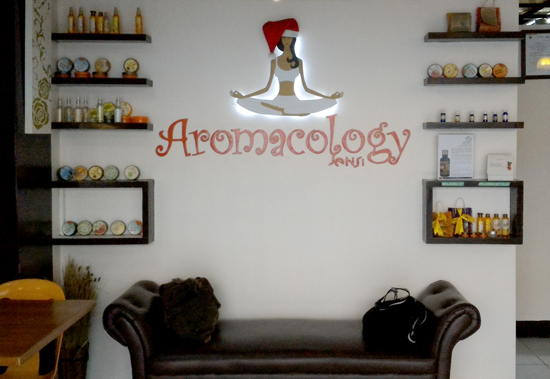 In 2003, Aromacology started with a single outlet in NCCC Mall here in Davao City. Thirteen years after, Aromacology has expanded beautifully with now over 10,000 independent distributors, mostly mompreneurs, around the country and very soon, to major cities in Asia. Aromacology didn't just come together in making quality and affordable products, but they’ve designed a multi-level direct business scheme that paved a golden business opportunity for many women in achieving financial freedom and independence. Today, Aromacology offers a good list of quality and reasonably-priced botanical-based bath and body care products. They take pride of their products being carefully crafted from all-natural earth materials like herbs, flowers and fruit extracts. All of their products run through a modern art and science of manufacturing technologies, FDA approved and are certified Halal. 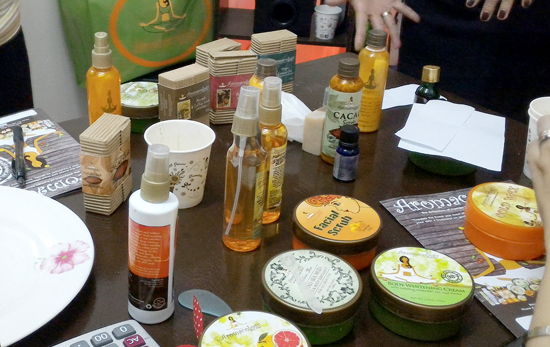 I was one lucky earthling, I got to sample Aromacology’s newest products on the list. The Cacao Body Butter, Cacao Scrub and the Cacao Bar. 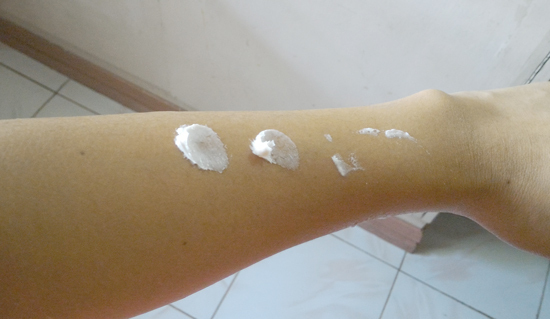 According to Ms. Vanessa Mondragon, Aromacology’s CEO, the cacaos are sourced here in Davao. So that when you use the product, you are not only enjoying the fantastic benefits of cacao, you are also in a way helping the local cacao farmers make a living. Davao claim royalty to have the finest quality Cacao in the world. So it follows that we’ll also be using the finest quality cacao-based beauty products. It’s a shame really that most of the time we keep grovelling PX stuff at someone else’s beauty yard only to realize that the real and quality products are sitting right at our doorstep. Gosh, earth, swallow me now. But I think it’s not too late, I need to go back to their store and hoard bottles of those essential oils, I've tried them, they all smell so good and was still onto it the morning after. But before reviewing those, I’m sharing with you the best of Davao. The packaging is neat. This contains 100g of cacao goodness, this will last me a month. I'm very particular with merchandise facts. This pot didn't disappoint me. All information a beauty junkie should know is here. Props to the expiry date! This is a friendly reminder to all mothers who would be purchasing this product. Though this can be used by kids under adult supervision as this is safe because its botanical-based, please keep this product out of your children’s reach. Let may be my son the last victim of ‘thought this can be eaten, because it says butter and this smell soooo delicious'. So right! I have to give this product five full stars for the scent. Five being the highest. It captured the whole symphony of cacao aromacology. This product aim at lifting our senses and I'm happy to say, it delivers. The butter consistency appeals to me, save me that I-messed-up-my-bag day. 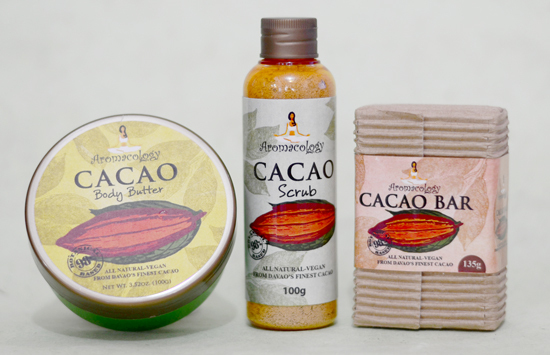 To get the optimum result of the this product, use the cacao scrub and bar before applying. 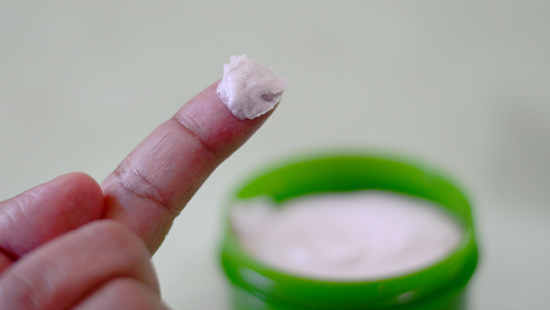 Apply liberally when your skin is still damp right after taking a bath or washing hands. 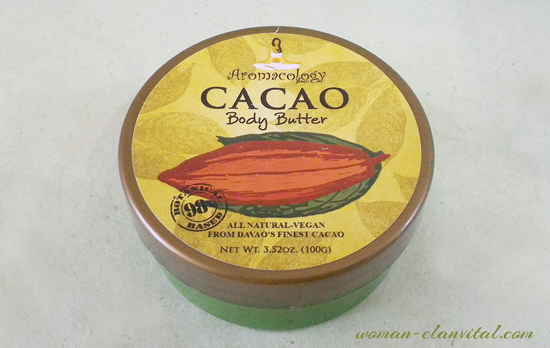 What I like about AROMACOLOGY CACAO BODY BUTTER? 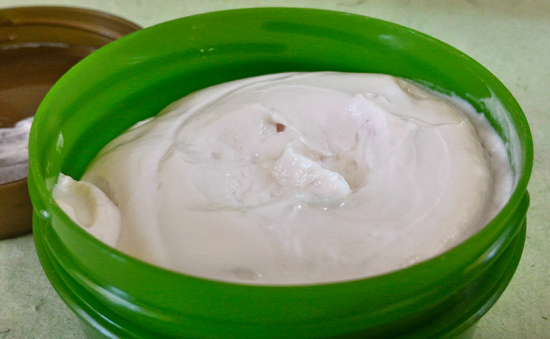 What I don’t like about AROMACOLOGY CACAO BODY BUTTER? The current package is just too big for travel, though I can transfer content to a travel size container, I’m just kind of lazy to do that :P Over-all, nothing I can think of. 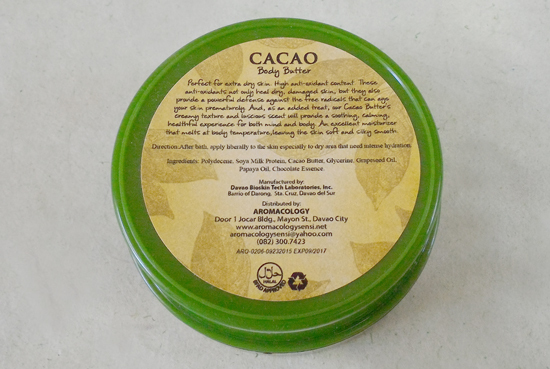 Will I recommend AROMACOLOGY CACAO BODY BUTTER? Totally. One of the best beauty products we should be proud of, labelled, Made in Davao City, Philippines. And as a Filipino, we should make it a habit supporting and patronizing our own. Let’s support all-Filipino products. As I said earlier, Aromacology offers business opportunities to those who would want to have not just extra but full income by becoming an independent distributor. Aromacology’s line of products are the kind you can use, sell and recommend without qualms and reservations.